I hate that I get so excited by Friday. I know I have to work, I love my jobs...but it still feels great every single week. I know that Monday is coming and I don't dread it a bit, but it still feels great every single week. Oddly enough, I go grocery shopping in Louisville to celebrate Fridays. Some people might think this is a crazy way to end the week, but I love it. 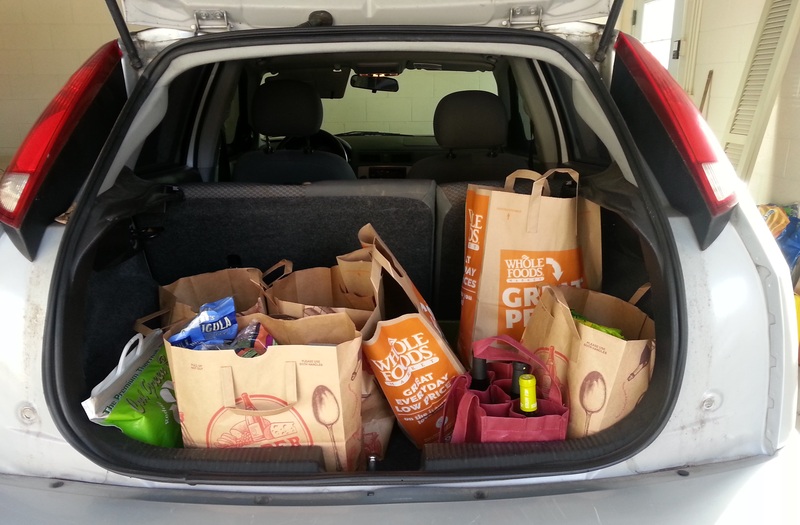 If you've been reading this blog, you know I love to grocery shop. On Fridays I usually go to Trader Joe's and Whole Foods and load up on goodies for the weekend. If I have time, I also swing over to Lotsa Pasta. I love to get the itty bitty tapas size wedges of cheese, maybe some olives, and great crackers to be devoured when Andrew gets home. Other rituals include listening to NPR's Pop Culture Happy Hour, taking a full day off of yoga, and eating out. And wine...of course.